The weekend was crammed with fast half marathons in Reading, Bath, Lisbon, Fleet, Milton Keynes, Brentwood, Wigan, Weymouth and Wrexham. 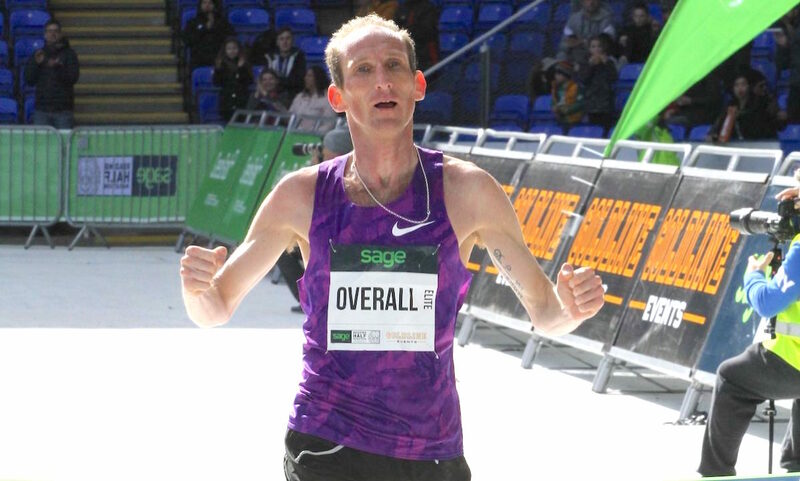 Olympian Scott Overall held off Matt Clowes to win the Reading Half Marathon in a race that also saw a world record broken for the fastest father-son combined finishing time on Sunday (March 17). The Blackheath & Bromley 2:11 marathoner ran 63:50 to take the top prize and hold off Cardiff’s Clowes, who clocked 64:03 in second. Thames Valley’s Paulos Surafel was just seconds back in third with a 64:12 result, while Paul Pollock (64:27), Kieran Clements (64:40), Ollie Lockley (64:46) and Adam Hickey (64:50) also dipped under 65 minutes. 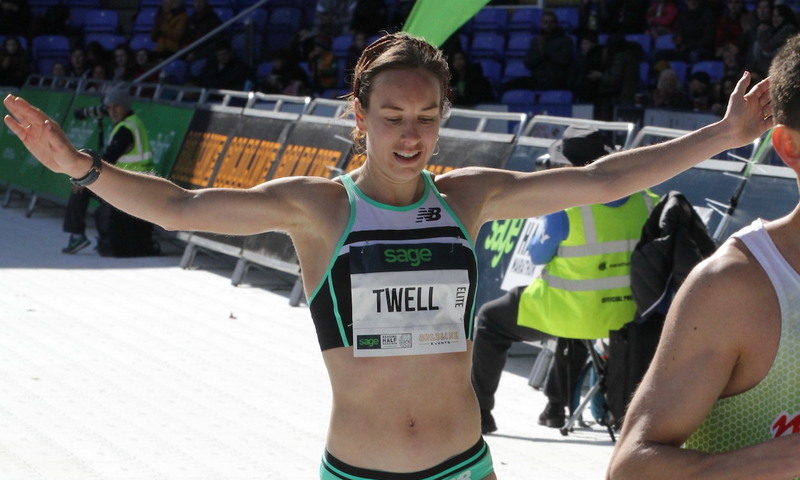 Aldershot, Farnham & District Olympian Steph Twell followed up her second place at last weekend’s Big Half with victory in Reading in 71:37, beating club mate Louise Small, who ran a strong 72:46 for second. Bedford & County’s Josh Lunn has been in incredible form of late, revising PB after PB in his build up to the London Marathon. 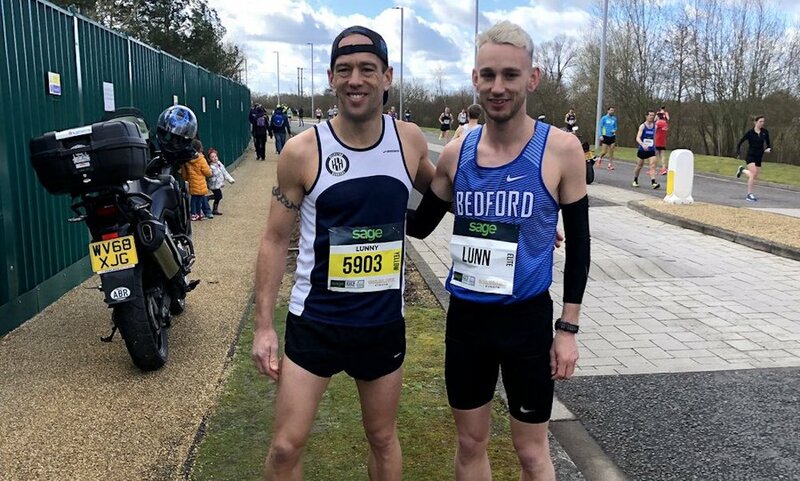 The second-claim Helpston Harrier went one better in Reading with a 66:29 PB and an unofficial world record for the fastest father-son combined finishing time with his dad, Paul Lunn, who clocked 74:04. The Lisbon Half Marathon (March 17) saw a fast 66:34 win for Kenya’s Vivian Cheruiyot in the women’s race, but all British eyes were on Scotland and GB’s Callum Hawkins as he continued his build up to the London Marathon next month. While Hawkins was disappointed with his 62:52 clocking for 23rd place it still represented a solid performance while in heavy training. The English Schools Championships at Temple Newsam near Leeds saw Northumberland’s in-form Sam Charlton take his third championship victory in the space of a few weeks following wins at the English National and the Inter-Counties. Another Northumberland athlete took the senior girls’ title when India Pentland followed up victories at the Inter-Counties and the Northern Championships as well as silver at the National with a gutsy winning run to the line. The Bath Half Marathon is always a great event for runners and spectators alike, and this year’s event was made all the sweeter with victory for two popular athletes, both coached by Alan Storey. Road running stalwart Chris Thompson won the men’s race in 63:10, a convincing victory from Belgrave Harriers’ Nick Goolab, who clocked 64:34. Peter Le Grice was never far behind when he finished third in 64:55. However great it is to see Thompson in winning form, it is equally great to witness the storming return of former GB international Kate Reed, who has worked incredibly hard to fight back to winning form over the last 12 months and more. 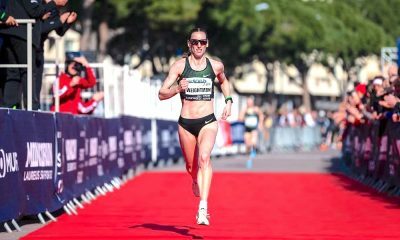 The Olympic 10,000m athlete has built back her strength and fitness following seemingly endless injuries and took a glorious victory in Bath in a 72:44 PB. Rachel Felton took a well deserved second prize with a 75:53 result, while Phillipa Williams also ran strong to post a 78:11 time in third. Staying in the south of England, the traditional pre-London Marathon build up race at the Fleet Half Marathon saw fast victories for RAF’s James Bellward (67:34) and Hart Road Runners’ Lesley Locks (78:29). It was a good day for forces athletes as the Army’s Edward Knudsen was second across the line in 69:39, while the RAF’s Michael Taylor took third in 69:53. Locks was joined by club mate Alexa King on the podium with her 79:43 result, with Datchet Dashers’ Jill Collett close behind in third in 79:57. Charlie May from the Vale of Aylesbury and Huncote Harriers’ Nicki Nealon were the victors at the Milton Keynes Half Marathon on Sunday (March 17) in 74:02 and 86:57 respectively. Oxford Tri Club’s Jon Mosquera was second in 75:17 while Clapham Chasers’ Joe Walsh took third in 76:17. Nealon was joined on the podium by Team East Haddon’s Lindsay Scott (89:28) and Charlotte Hunt (90:23). International ultra runner Sam Amend from Belgrave Harriers took the top spoils at the Milton Keynes 20M in 2:11:17 from VPH&TH’s Rachel Thomas’s 2:11:48, a close fought race over this distance! Home talent and impressively consistent in every distance she takes on, Lara Bromilow was third lady in 2:13:03. St Albans Striders’ Steve Buckle was first man across the line in 1:58:44 from Herne Hill Harriers’ Josh Pewter’s 2:00:08 and Cambridge Harriers’ Phil Dickens’ 2:00:11 – just three seconds in it after 20 miles! Another 20 mile race taking place was the Run Northumberland Big 20, which saw victories for Elvet Striders’ Stephen Jackson and Morpeth’s Lorna Macdonald in 1:54:52 and 2:21:40 respectively (March 17). Ali Bailey (1:55:11) and Gateshead Harriers’ Dan Alexander (1:55:33) also made the podium, as did Tynedale Harrier’s Lisa Tang (2:23:07) and Birtley AC’s Ruth Dadswell (2:24:08). 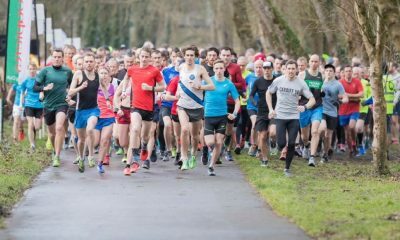 On a weekend of plentiful half marathons it’s clear some of the best runners in the UK were out in force as times were strong across the country. At the Brentwood Half Marathon, Havering AC’s James Connor was first in 68:35, nearly three minutes clear of second placed Stephen Strange from Basildon, who clocked 71:26. It was a closer finish with third placed Crispian Bloomfield, who clocked 71:55. Basildon had a good day at the races with the club’s Kirsty Fitzgibbon winning first prize in 80:50. London Heathside’s Rebecca Piggot fought hard for second in 83:23, while Basildon earned another podium position in third placed Charlotte Bishop’s 85:27. Also seeing decent times was the Weymouth Half Marathon (March 17), with Bournemouth’s V40 Jacek Cieluszecki and Wimbledon Windmillers’ Laura Trimble taking the wins in 72:53 and 85:85:06 respectively. Winchester & District’s Kate Towerton and Chichester’s Jo Corbett were second across the line in 86:57 and 73:32, while Running for Time’s Rachel Astington and Matt Papa took third in 88:03 and 73:32. 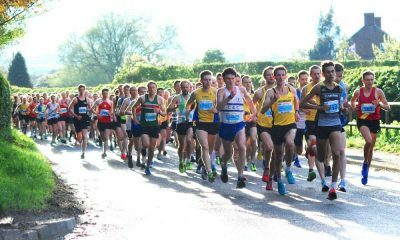 The Wrexham Half Marathon saw wins for Leicester Coritanians’ Mark Powell (74:42) and Eyri Harriers’ Catherine Connell (86:38) on Sunday (March 17). Meirionnydd’s Alun Williams (75:49) and Shropshire Shufflers’ Phil Jones (77:33) were second and third in the men’s race, while Leigh Harriers’ Dee Allen (87:15) and Chester Tri Club’s Zoe McLennan (89:19) made the women’s prize list. 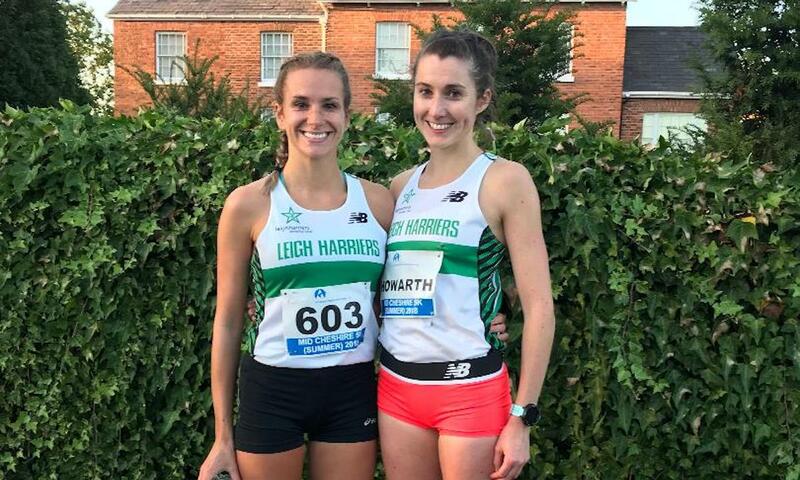 Lauren Howarth (now Heyes) may have made quite a few athletics headlines of her own over the years, but it was her sister Abigail in the limelight at the Wigan Half Marathon on Sunday (March 17) when she took victory in a strong 80:40. The Leigh Harrier won from club mate and former Fast Running Class of 2018 athlete Laura Riches, who posted an 84:48 result. Amy Stevenson was third in 92:32. 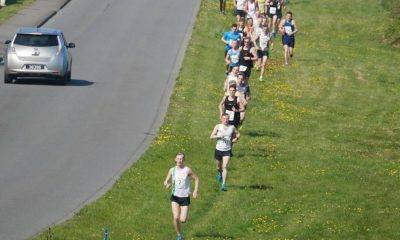 Vale Royal’s Chris Perry won the men’s race in 70:49 from Salford Harriers’ Gary Priestley’s 71:56. St Helens Sutton’s Thomas Griffiths was third in 72:30. Once again Hayley Carruthers ran the quickest women’s time at UK parkruns over on Saturday with a superb 16:21 at Cannon Hill, while Birchfield Harriers’ club mate Thomas Beasley did well to hold her off (!) with a 15:39 result to top the men’s top 10.